Roast and Ground Coffee & Caramel Flavored Whole Milk Powder with Sugar. Inspired by the STARBUCKS Caramel Macchiato you love, indulge in the creamy bliss of dairy and caramel flavour. 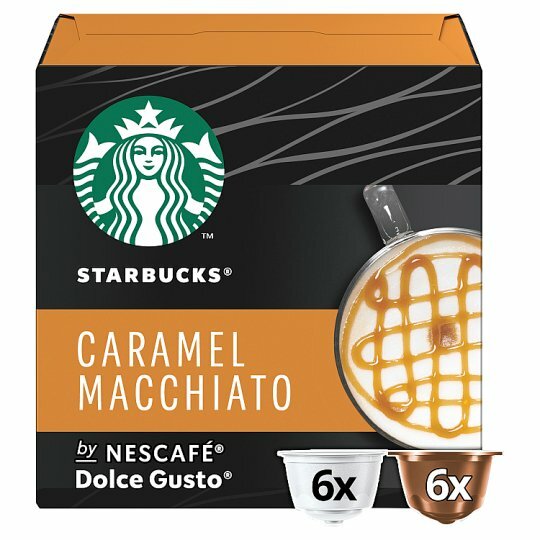 Coffee pods compatible with NESCAFÉ DOLCE GUSTO Coffee Machines. The coffee you love without leaving the house. Committed to 100% Ethical Coffee Sourcing in partnership with Conservation International.